Lemon balm, which has the scientific name Melisssa officinalis and is a member of the mint family, originated in Asia, was also cultivated in Europe, and is now popular in North America as well as parts of the Pacific coast. It is known in different names depending on which part of the world it is grown, such as melissa, sweet balm, and common balm in Northern America; Melisse in Germany; meliza in Spain; and citronmeliss in Sweden. Lemon balm, a perennial herb, has leaves that are very similar in shape and size to those of other plants belonging to the mint family – oval, toothed, slightly heart-shaped, and bright green in color. It blooms with white or yellow flowers during the summer and does not grow very tall. It is valued for its flavoring and medicinal uses. Lemon balm is said to fight premature baldness or alopecia. Lemon balm can also act as a sedative. The German Standard License and the Commission E of the German Federal Institute for Drugs and Medical Devices approved the ingestion of lemon balm tea to help address sleep disorders, as it has calming properties that can help you reduce stress. Lemon balm can also be used as an appetite stimulant. Aside from being an appetite stimulant, lemon balm can also work as a brain stimulant. Lemon balm contains antioxidants that prevent oxidation of cells, thereby boosting functions such as concentration and memory. As such, it can be used to address dementia and other related disorders. Lemon balm ointments and creams can also be used to treat cold or genital sores that were caused by the herpes simplex virus, and alleviate their symptoms such as redness and itchiness. Research has also showed that lemon balm can inhibit the proliferation of the human immunodeficiency virus (HIV). Lemon balm can also be used to treat shingles, an infection caused by the varicella-zoster virus, the same virus that causes chickenpox. A concoction of lemon balm can also be used to treat flu and lower blood pressure. Lemon balm can address gastrointestinal issues. The mixture of lemon balm leaves and water helps in unclogging skin pores to get rid of blackheads, whiteheads, and pimples. It also inhibits oil production and prevent the spread of acne; its anti-inflammatory properties prevent the redness and itching in the event of an acne outbreak. The leaves of lemon balm can serve as a wonderful addition to meat and fish dishes, salads, and soups. For more recipes to help you enjoy lemon balm in your dishes, visit this site. 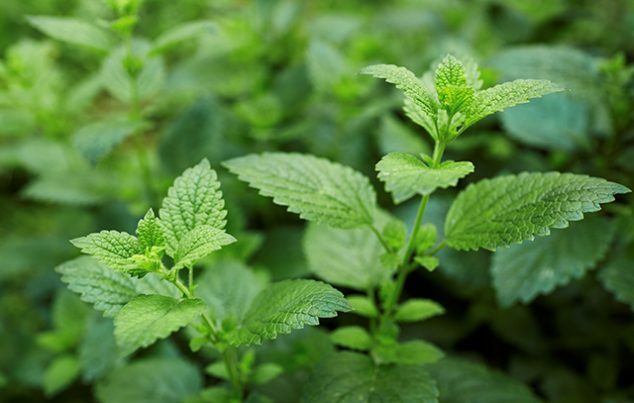 Oil extracts from lemon balm can be used as a natural mouth freshener. Lemon balm can also be used to drive away insects and pests from your house. Lemon balm can act as a sedative and an appetite and brain stimulant. Lemon balm ointments and creams can also be used to treat cold or genital sores that were caused by the herpes simplex virus. Lemon balm inhibits oil production and prevent the spread of acne.